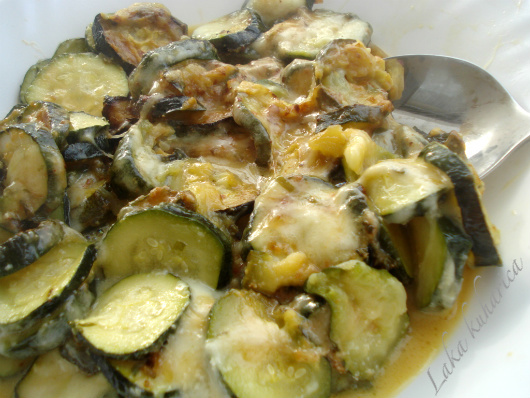 Sprinkle zucchini slices with Garlic Pamersan seasoning, salt and lightly drizzle with olive oil. Bake in the oven at 200˚C for about 15 minutes or until zucchini is soft. Remove from oven. Sprinkle the zucchini slices with mozzarella cheese. Return to the oven and place on the rack just below the upper heater or under the grill. Broil for another 5 minutes or until cheese gets a nice golden color. Serve as a side dish or as a light lunch. Mix and combine all ingredients and put into an airtight container and store in the refrigerator.